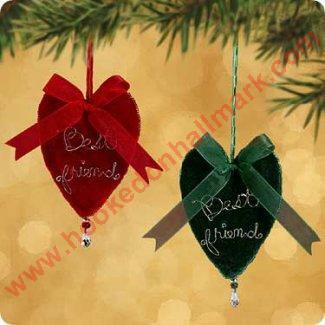 Package contains set of two individually boxed ornaments: one to give to a friend and another to keep for yourself. Features words for "friend" in various languages. Pretty & I like the idea of showing the word "friend" in various languages.